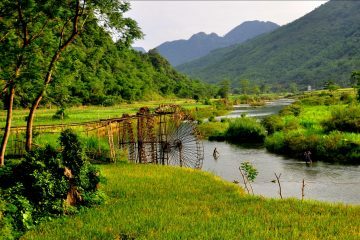 Mai Chau and Pu Luong is famous for its beautiful mountains and valleys of the Thai people. And Pu Luong Nature Reserve is located in Ba Thuoc District, Thanh Hoa Province which offers tourists a new, unique and off the beaten track adventure. 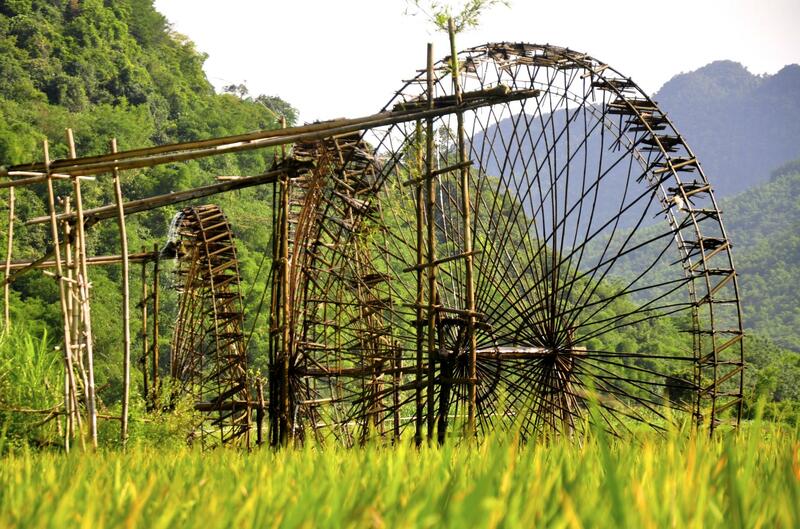 Pu Luong Region is unknown among most tourists, but contains all the highlights of Northern Vietnam in one place! 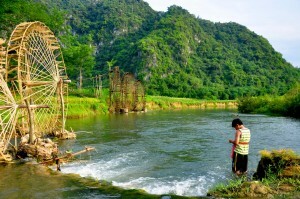 Pu Luong is a “microcosm” of Northern Vietnam. 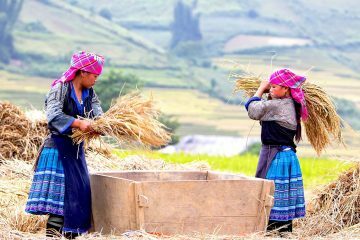 Containing Sapa’s magnificent mountain ranges, Mu Cang Chai’s stunning rice terrace fields, Cao Bang’s scenic rivers and waterfalls and Mai Chau’s remote traditional villages of ethnic minorities who still retain their unique cultural heritage and way of living. Pu Luong Nature Reserve takes the opportunity to be the firsts who gives you the possibility to experience this beautiful and remote area combined with a comfortable stay. 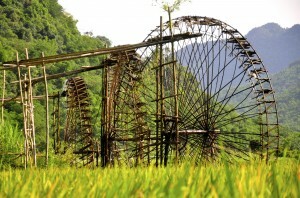 Depart from your Hanoi hotel at 8:00 am transferring to Mai Chau (~ 170km ~ 4 hrs transfer). Daydream as we drive a safe route with spectacular views. 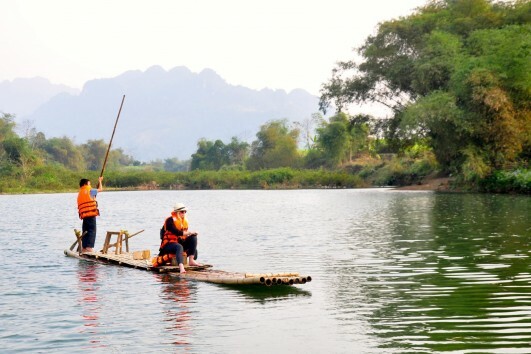 Upon arrival at Poom Coong village in Mai Chau, we will take a short walk to visit the ethnic Thai people, lunch will be served here and a small rest before we begin our trekking through the beauty of Pu luong Nature Reserve (~ 10 km ~ 3.5 hr hiking). 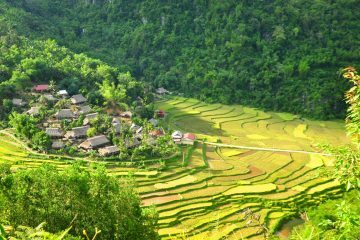 A short car ride then we start our trek to Kho Muong village – perhaps the setting of one of the most beautiful places in Vietnam. 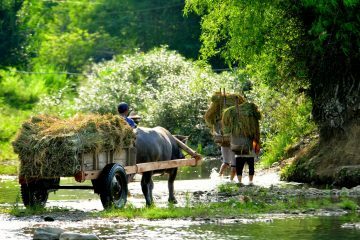 It is recommended to stroll round the village and join villagers as they go about their daily lives. Or, relax at local homestays. Arrival in Kho Muong village in the afternoon. Here we will spend our first night in a typical Thai eco-stilt-house welcomed by the family that lives there. Free time to rest and shower, then a traditional dinner. Overnight here. Here, daily life starts early so get up and take part in your host family’s morning activities. Have breakfast and start our trek by 8:00 am. Today we will be walking for a approximately 5 to 6 hours (~ 15 – 17km). 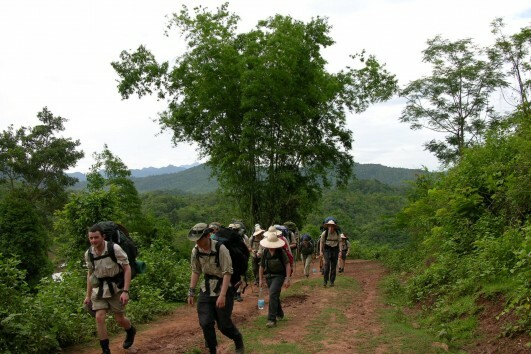 The first bit of hiking is through the beautiful valleys and unspoiled villages. Continue on to the next villages trekking amongst the karst landscapes and nice terraces is hard with some steep climbs and stream crossings. 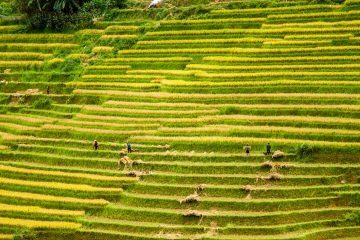 The second part is glorious with beautiful views of the valley, rice paddies. Short pause for lunch at a local food stall or en-route. We arrival in Hieu village at around 16:00. Take short rest then we visit the beautiful water fall near the village then back to the homestay for dinner and overnight at a Muong homestay. Breakfast at the homestay. 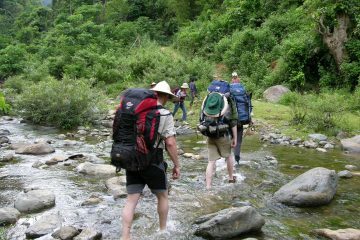 8:00, we take another day of village-to-village trekking and via nice cool streams for a route is about 10 – 12 km (~ 5 – 6 hours). Short pause for lunch enroute then following the local path via rice paddies to get to our homestay for shower, dinner and stay the night. Leave Nua village after having breakfast. Start our full day trek climbing deeper into the Pu Luong Nature Reserve (~ 15km). Picnic lunch on the way. Continuing our trek passing through ethnic villages. Our day ends with a wonderful sunset (weather dependent) in Son village. Dinner and overnight at our Thai homestay. Breakfast is prepared by your guide then start trekking by 8:00. 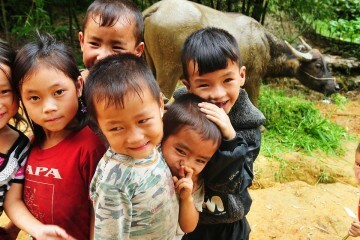 Today we will have an easy day with small ups and downs through rice paddies and the Pu Luong jungle. After about 2.5 hours we get to Ton village. Our driver will be waiting for us there to transfer us to Muong Khen town for lunch. Arrive and end in Hanoi in the late afternoon.